Europe’s old-world beauty has long since been revered, but its breathtaking cities eternally promise travel that’s timeless. 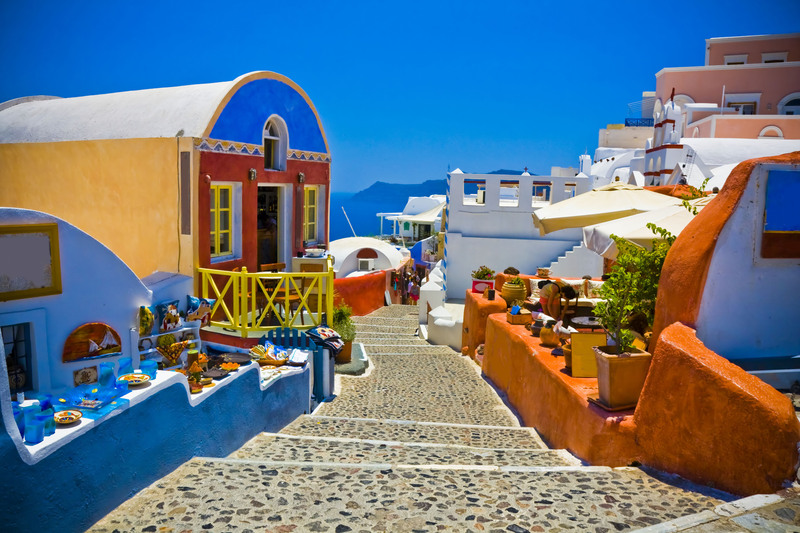 Quaint alleys twist and turn with no rhyme or reason in a labyrinth of discovery, and charming cobblestone streets expose magnificent churches, fairy tale castles, and bustling markets filled with some of the freshest food you’ll ever taste. 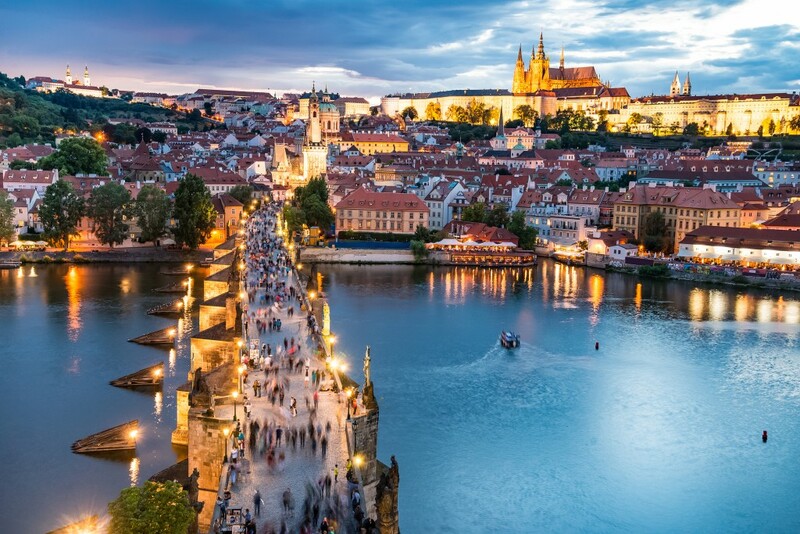 It’s easy to lose yourself in the romanticism of it all, but we encourage you to get lost with the one you love in these most romantic cities for the best Europe vacation. There are many who argue that no one does romance better than the Italians, and with a passion for superb food, an elegant language, and a country that was the home of St. Valentine, we’d say they make a pretty strong case. 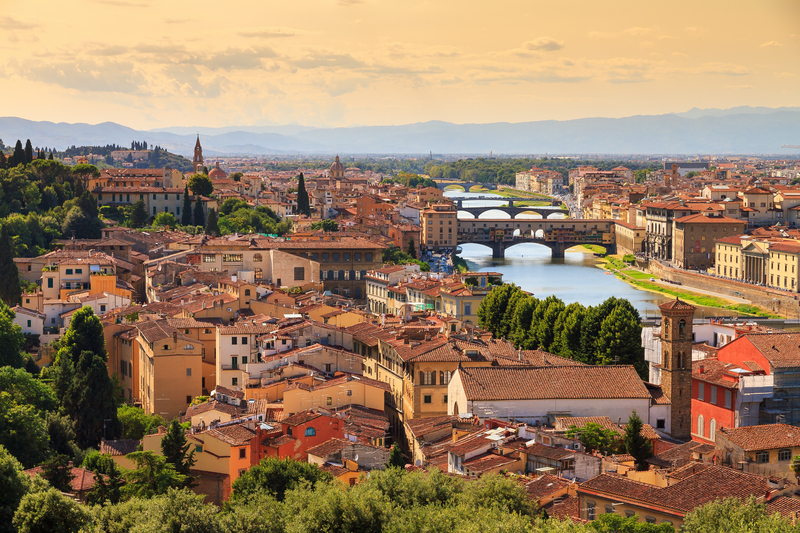 As the birthplace of the Renaissance, Florence is a fantastic city to celebrate your new beginnings on your honeymoon. But couples at any stage of their relationship will be mesmerized by its quaint alleyways, delicious wines from nearby Tuscany, and great works of art from Michelangelo and Botticelli. When you spend an evening on your Florence honeymoon in the Oltrarno district watching the sun set over jaw-dropping views of the city, that’s amoré. Nothing says love like chocolate, so why not travel to the country that’s the world’s number one exporter of this “food of the gods?” The quaint Belgium village of Bruges is perfect for popping in and out of aromatic chocolate shops, and footbridges over a labyrinth of canals and cobblestone streets lined with adorable almshouses make Bruges seem like it appeared right from the pages of a storybook. 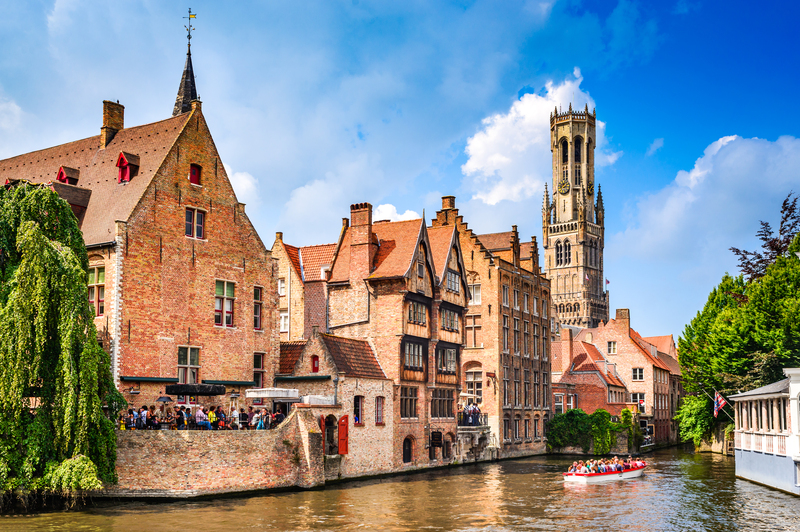 Belgium is another country that’s world-famous for beer, so pick a pint from over 110 different styles. This wouldn’t be a true list of romantic cities for your Europe trip if we didn’t include Paris. The “City of Light” has grandeur around every corner. 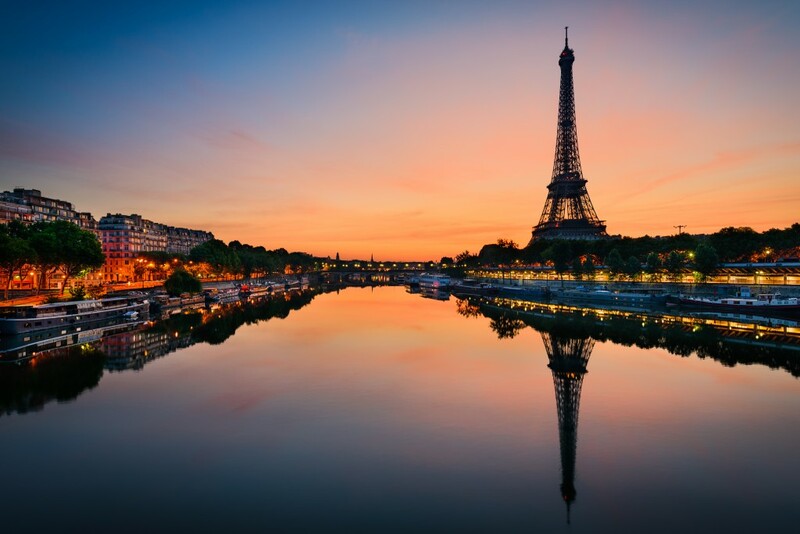 From its variety of intricate architecture that displays centuries of styles, to its decadent food, to the iconic Eiffel Tower dominating the Parisian sky, this city was made for enjoying life’s pleasures, especially with the one you love. Don’t be surprised to see open displays of affection here, as Parisians admire and revere declarations of love, even if it’s as small of a gesture as holding hands. It’s no secret that Paris has some of the most renowned art museums in the world. While they tend to be extremely popular during the day, marvel at your own pace and go in the evening for an intimate experience. Lucerne is the quintessential Swiss city. Located in the center of the country, surrounded by snow-capped mountains, you’re bound to hear all four of Switzerland’s official languages here – French, German, Italian, and Romansh. 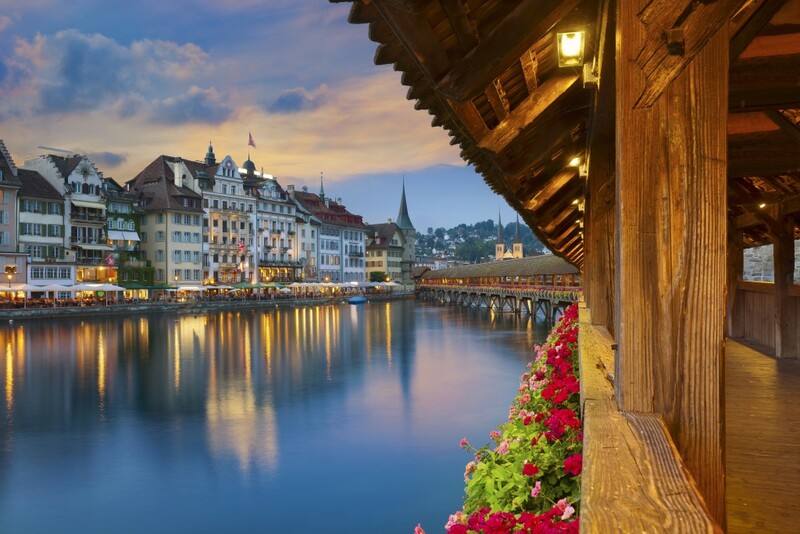 As if the majestic scenery isn’t romantic enough, Lucerne boasts a gorgeous medieval covered bridge that spans across the Reuss River, a meticulously maintained Altstadt – Old Town – and picturesque waterfronts along the sapphire shores of Lake Lucerne. This city is particularly magical during the winter, and the nearby mountains provide plenty of skiing opportunities. 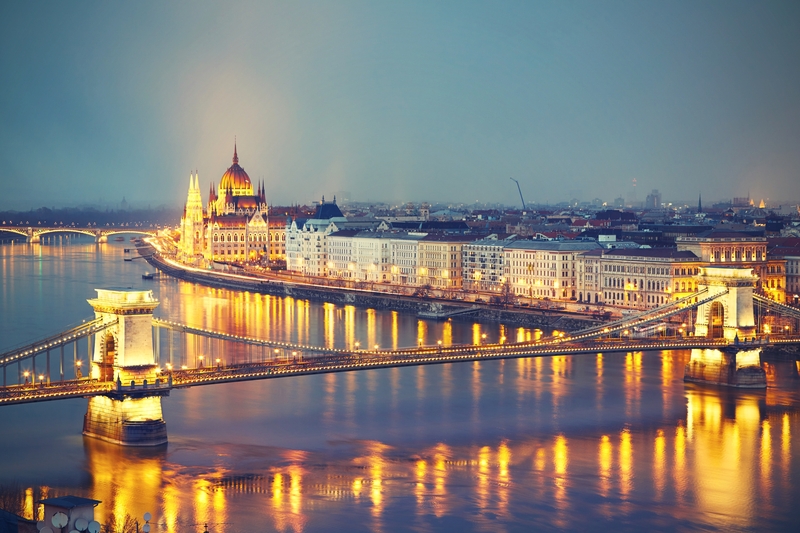 You’ll discover two cities in one when you visit Budapest – the old hills of Buda with its awe-inspiring views from the Fisherman’s Bastion, and the flat streets of Pest with its beautiful architecture, from Art Nouveau buildings to the stunning Neo Gothic-style Parliament. Budapest is split by the mighty Danube River, connected only by intricately detailed bridges that offer amazing photo opportunities as you cross between the sides. Natural hot springs under Pest gave rise to ornate Turkish Baths, which are still open to the public today, and are perfect for soaking tired muscles after a day of exploring together. 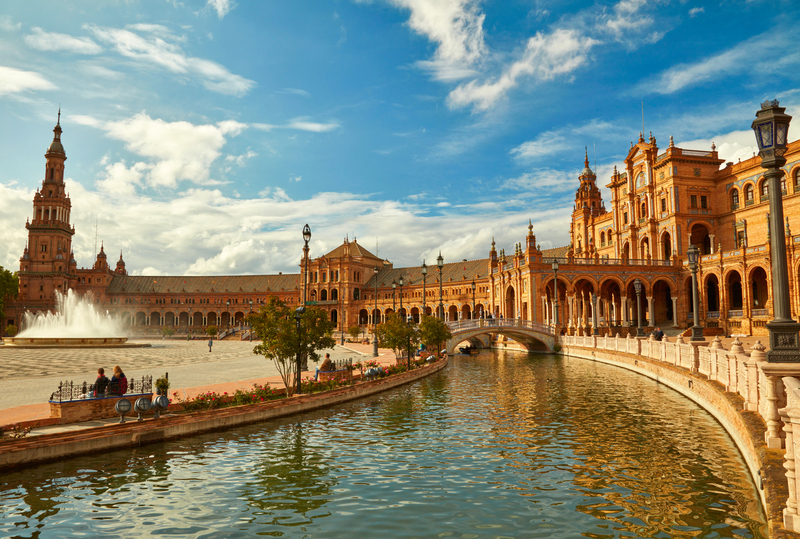 Step out onto the sun-soaked streets of this Spanish gem, and you’ll find that ancient cultures from around the world have left their mark on Seville, giving it a personality all its own. Get lost with each other, and see how many cultural influences you can spot on your own scavenger hunt through the city. Bask in the glory of Roman ruins, medieval engravings, and the vibrant Moorish palace Real Alcázar, and you’ll be left with a glow that matches the city itself. It might seem like the witch from Hansel and Gretel went on a building spree, and the result was Strasbourg. 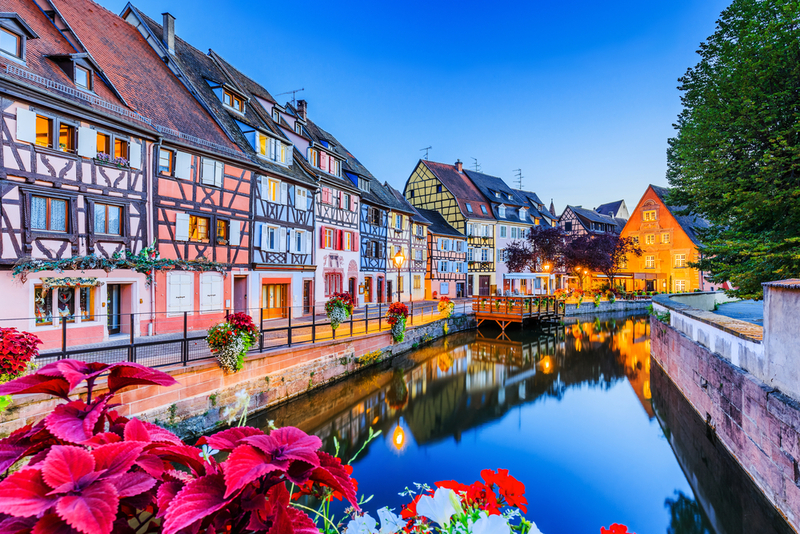 The colorful, half-timbered buildings are reminiscent of candied gingerbread houses in this French city, which has been heavily influenced by bordering Germany. It’s the perfect little escape for a fairy tale romance. It also happens to be home of Europe’s oldest and largest Christmas Market, making it a great choice for a getaway during the holidays. Sweet, scrumptious strudel and musical notes from world-famous compositions await you in Austria’s capital. 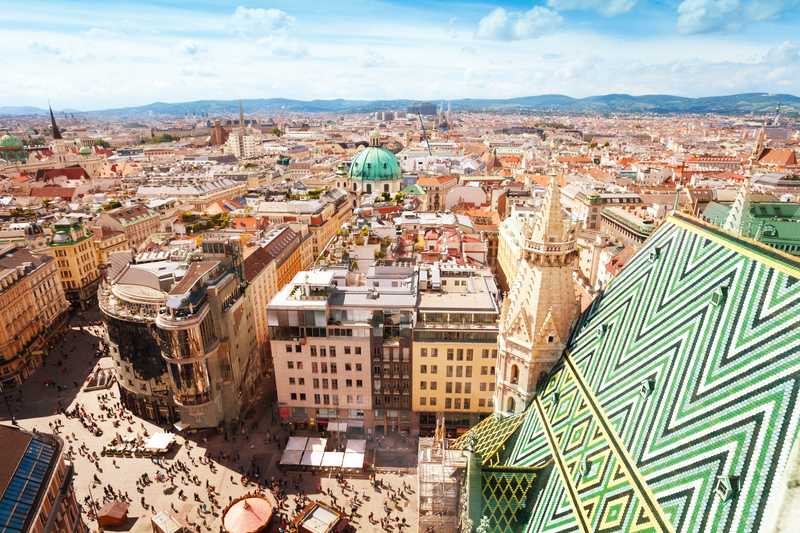 The Kaffeehäuser (coffee house) culture reigns supreme here, so sip on some renowned Viennese coffee while watching the world go by on cobblestone streets. Revel in imperial architecture, and catch a concert featuring the works of Mozart and Beethoven. Plus, there’s no better place to steal a smooch on your vacation in Vienna than in front of Klimt’s The Kiss at the Belvedere Gallery. Europe was made for lovers, and there’s nothing better than getting lost in the quaint alleyways, secret streets, and bustling markets of its cities. Your local travel agent will be your director of romance and help you plan the honeymoon, anniversary, or couples retreat of your dreams to one of these lovely destinations. Call yours today!